The Realme 2 Pro pushes the boundaries with its latest offering, giving serious specifications for not a lot of money. The Realme 2 Pro is priced from Rs 13,990 and sports up to 8GB of RAM and 128GB of storage. The device is powered by the Qualcomm Snapdragon 660 SoC. When it comes to design, the Realme 2 Pro is a lot like the Oppo F9 Pro. 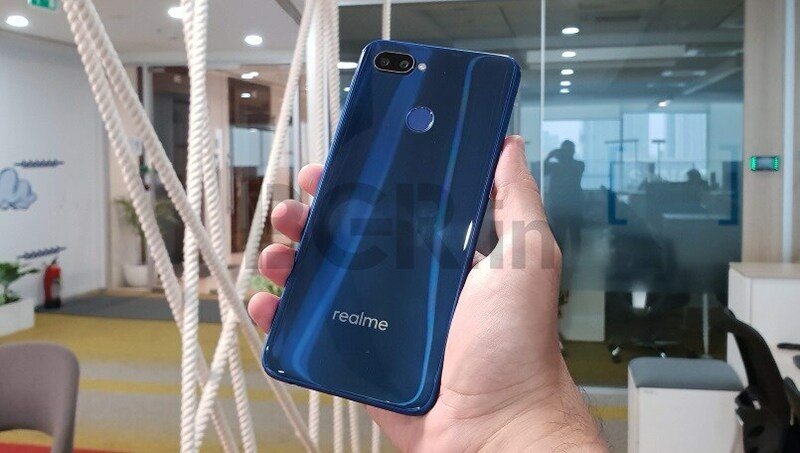 Oppo-owned Realme launched in May this year with the Realme 1, a phone that underlined exactly what the point of this new venture was. While Oppo has a successful range of products on its own, it’s built a strong network and strategy centered around offline retail. 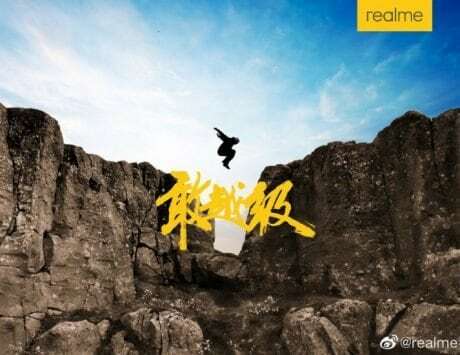 With Realme, the point is to go the Xiaomi way; offer better specifications for less money, which can only be possible when adopting an online-only distribution strategy. 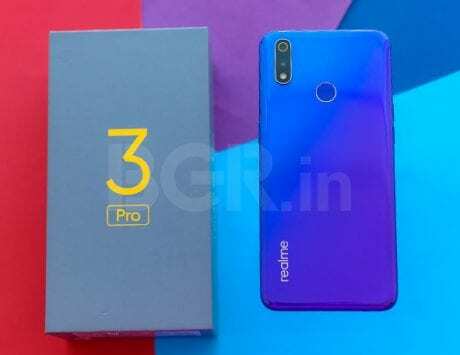 Although the Realme 2 launched only last month, we already have a slightly souped-up version of the device – the Realme 2 Pro. Priced from Rs 13,990 onwards, the Realme 2 Pro has specifications and features as its key selling point. It’s offering a strong product with the numbers to back it, while keeping the price low enough for mass market sales. There’s also a healthy dose of style in this phone, which will be available through flash sales starting X October. Here are my first impressions of the Realme 2 Pro. The stand-out factor on the Realme 2 Pro has to be its specification sheet, and the price that these specifications are available at. 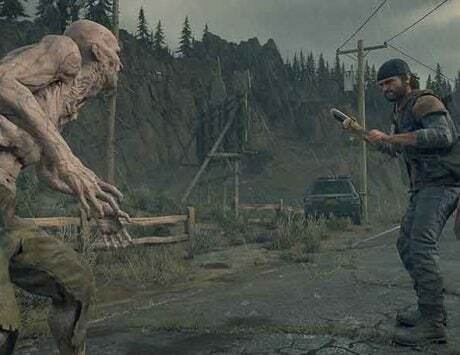 The phone is powered by the Qualcomm Snapdragon 660 SoC, which is also seen on the more expensive Xiaomi Mi A2, Vivo V11 Pro and Nokia 7 Plus. It’s a powerful and capable chipset that combines both energy efficiency and the ability to run demanding apps and use-case scenarios, and that makes it among the best mid-range chipsets around today. Apart from that, you also get up to 8GB of RAM, which is entirely unheard of till now in this price range. While 8GB RAM isn’t uncommon on high-end phones running the Qualcomm Snapdragon 845 chipset, it’s a bit of a novelty on the low end, which tends to top out at 6GB. And while 6GB of RAM is adequate in most cases today, having 8GB can keep the phone running smoothly even a couple of years down the line. There are also dedicated slots for two SIM cards as well as a micro-SD card. Apart from that, you also get a 3,500mAh battery, Android 8.1 Oreo with Oppo’s ColorOS on top and a 6.3-inch full-HD+ IPS LCD screen. 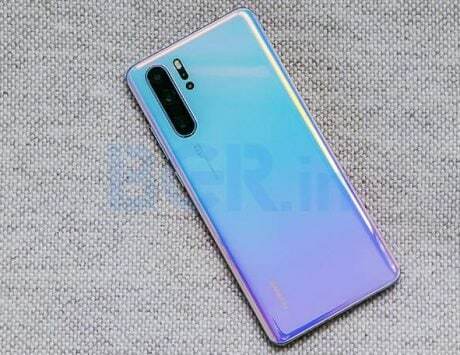 The screen is an edge-to-edge one, with a ‘waterdrop’ style notch for the front camera. 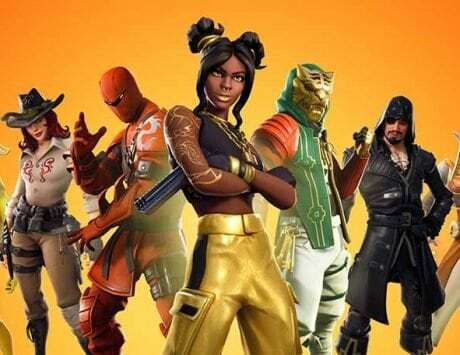 While I haven’t extensively used the phone, it’s safe to say that performance is decent enough at first glance, including with graphics intensive games such as PUBG Mobile. ColorOS is a rather heavy skin that tends to burden the phone quite a bit, but that’s where the 8GB of RAM and Snapdragon 660 SoC will come into play. There’s also a fair amount of bloatware on the device, but these apps can be uninstalled if you choose. While customers that prioritize software will likely prefer something like the Mi A2 or Nokia 6.1 Plus, most users should be okay with even the heavy skin on the Realme 2 Pro. 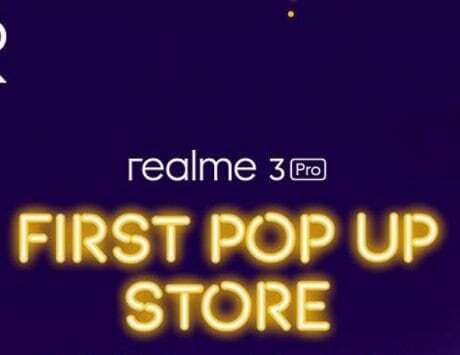 Although Realme wants to be considered a separate entity from Oppo, there are obvious links to its parent company. While the manufacturer and software are the clearest hints, there are also strong similarities in the design of the phone. 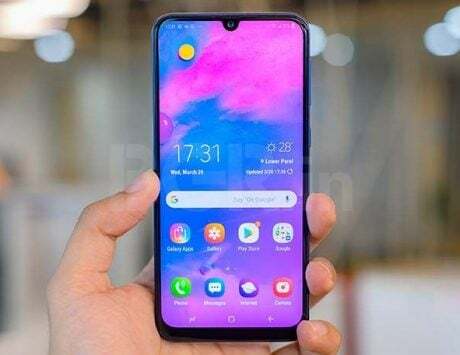 The Realme 2 strongly resembles the Oppo F9 Pro in many ways, including the screen, notch, size and dimensions, button layout and build quality. 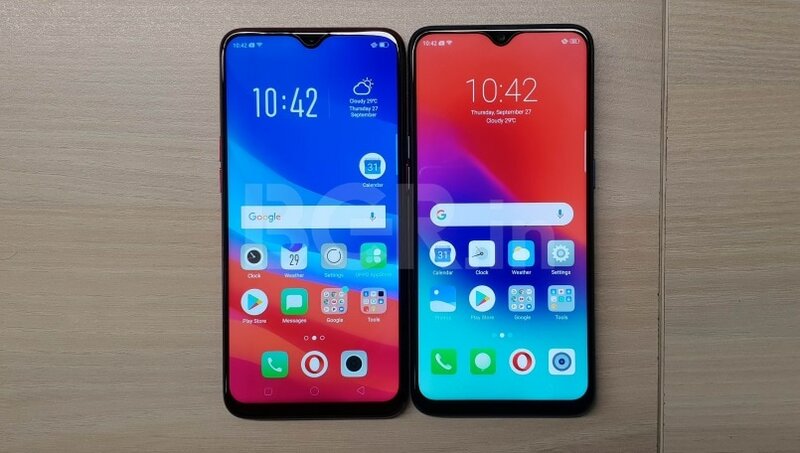 Oppo F9 Pro and Realme 2 Pro: Can you tell which is which? Talking specifically about build quality, the Realme 2 Pro has the same weaknesses, with a plastic fram, glass-lookalike plastic back panel and raised front. 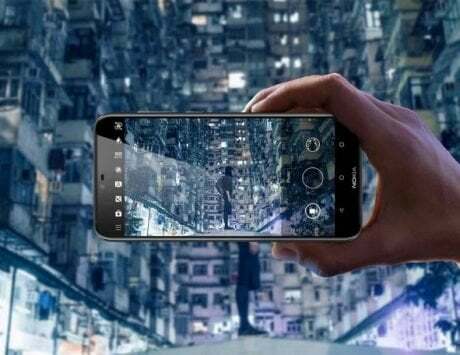 But given the lower price of the phone and the superior specifications, this might be entirely forgivable to potential buyers, who will be more concerned with the performance on offer or the large edge-to-edge screen. The idea of higher numbers appealing to buyers applies even more to the camera, and the Realme 2 Pro goes with the safe bet here. You get a 16-megapixel + 2-megapixel setup at the rear, with the second sensor enabling depth-of-field for portrait mode shots. 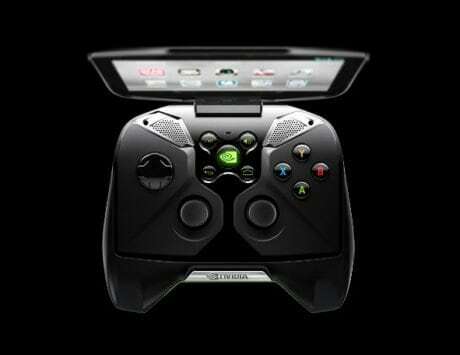 At the front, you get a 16-megapixel shooter that uses AI for portrait shots. It’s a fairly standard setup, capitalizing on Oppo’s traditional focus on better front cameras to appeal to the selfie culture. I’ll be testing the phone properly for the review, but at first glance the cameras do a decent job. Portrait mode is effective enough with the front camera, although you won’t get an entirely accurate border. The same applies with the rear camera. And of course, results are best in good light. 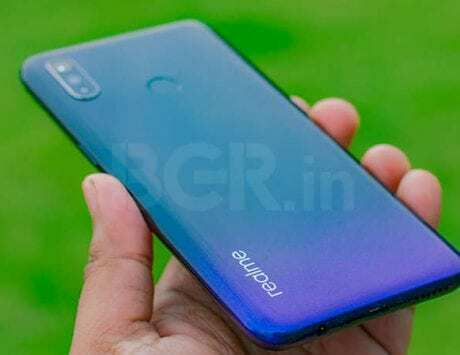 The Realme 2 Pro is, for all intents and purposes, an Oppo F9 Pro with a few changes. While the Oppo F9 Pro has its unique design, VOOC fast charging and offline availability, the Realme 2 Pro takes the online-friendly approach of better specifications. Indeed, up to 8GB of RAM, 128GB internal storage and the capable Qualcomm Snapdragon 660 SoC are strong reasons to consider this phone, given its price tag of Rs 13,990 onwards. At Rs 17,990, it’s the most affordable phone in India with 8GB of RAM. We’ll be bringing you our review of the Realme 2 Pro soon, but for now it looks like a interesting device that will woo users with the sheer quality of the specification sheet. Stay tuned for our review, and continued coverage on the Realme 2 Pro.